Notice any detonation? Having to go up a couple of octane points lately? Carbon build up may be the problem! Sea Foam products can be used safely and effectively in all auto engine makes and types including cars, trucks, RVs and SUVs. Whether gas or diesel, Sea Foam is famous for its ability to clean and dissolve gum & varnish residues, restore lost engine power, stabilize fuel, lubricate upper cylinders, and help protect fuel system components from wear and corrosion. 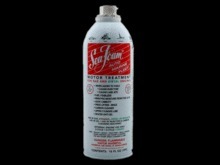 Add Sea Foam Motor Treatment to engine fuel and oil crankcases. 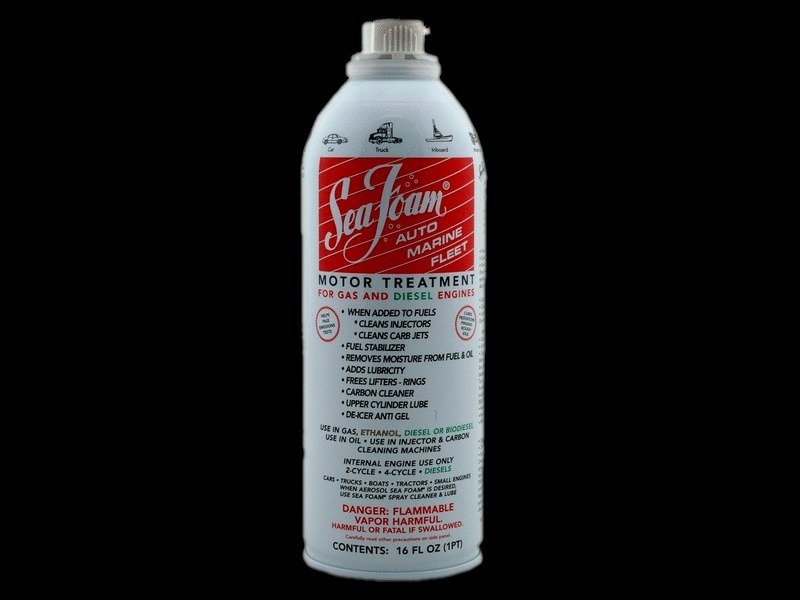 Sea Foam Motor Treatment works to dissolve and clean fuel deposits and sticky residues from gas and diesel fuel injectors, carburetors, and combustion chambers. Sea Foam helps to stabilize stored fuel for up to two years by resisting evaporation, preserving ignition vapors, and preventing the formation of gum and varnish. Sea Foam lubricates upper cylinders and helps to protect the entire fuel system from dry out, wear and corrosion. Sea Foam only contains petroleum-based ingredients. It does NOT have harsh detergent or abrasive chemicals that can harm your engine. The more you add to fuel, the better it cleans! Use Sea Foam to clean intake systems on 2 and 4-stroke gasoline engines. For all types of gasoline engines, including Gasoline Direct Injection, Sea Foam Spray works to safely and easily clean petroleum residues and deposits from air intake systems, intake valves, pistons and combustion chambers. Also excellent for cleaning carburetor throats! 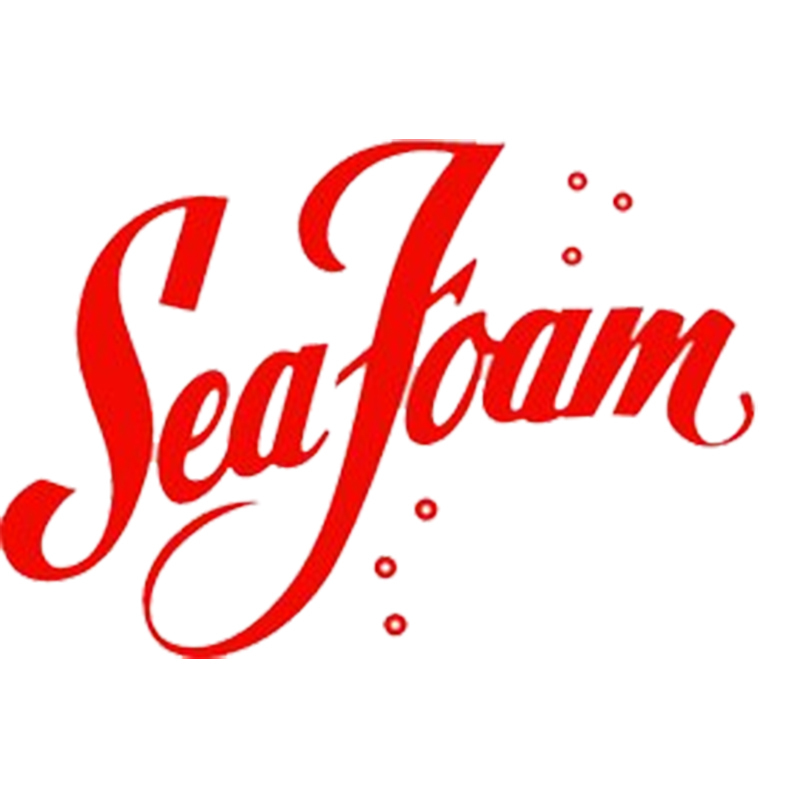 Sea Foam Spray is specially designed to deliver a high concentration of petroleum cleaning solvency into areas where gasoline fuel additives cannot reach. Excellent for fogging all types of gasoline intakes, injection or carburetor! Specially designed synthetic blend motor oil specially designed for high performance cars, turbo diesel, direct injection or gasoline engines with fuel injection and catalytic converter. Reduced oil consumption. 100% synthetic engine oil designed for modern cars with high power to liter ratio's, with gasoline or diesel engines, direct injection or catalytic converter. Improves power and responsiveness. Reinforced anti-wear protection for a longer life of engine. Formulated with HC-Tech lubricant and reinforced with extreme pressure additives, 3000+ 10W-40 lowers friction and wear with its high lubricating properties. Its high oxidation stability and dispersive properties protect engines from oil thickening.